Hopefully this post will be a little lighter than the previous one. So, two days to go and having completed most of my tasks, I've had time to think about the coming prospects and am now feeling pretty nervous. Today has been pretty relaxed with some present buying from Oxford to give to hosts when I go for dinner. I figure calendars of Oxford should go down reasonably well. After that I had a chance to sit in a cafe for one last time before I leave and continued with The Line of Beauty by Alan Hollinghurst. It's a bit of a strange novel where the plot is not great but the style is...well...nice. Damning with faint praise perhaps. I wouldn't particularly recommend it as one of my favourite Booker prize winners by any means and I still think that Cloud Atlas by David Mitchell should have beaten the competition hands down last year. I guess my problem with it is that the book is trying to cover too many topics in one go and the author has a habit of imbuing his characters with what I presume are the traits in himself which he most admires. Anyway, a pleasant enough way to spend a lunchtime. After all that exertion I thought I should treat myself to a cinema visit which I haven't done for a while. The only film showing was Broken Flowers which I heard mixed reviews about. It's a Jim Jarmusch film and having only seen one of his before, I wasn't quite sure what to expect. The only other film of his I've seen is Coffee and Cigarettes which is a strange film with stars taking on odd personas or playing themselves, chatting over coffee and cigarettes. It's essentially a sketch film with little continuity (though a few themes running through it) where some of the sketches miss by a long way but some are superb. There's a bizzare scene between Bill Murray and some of the Wu Tang Clan which is excellent and the very last scene is touching. Iggy Pop and Tom Waites is also worth a look and there's a strange one with Cate Blanchett which I shan't say any more about. Broken Flowers also stars Bill Murray who seems to be morphing slowly into a caricature of Soviet leaders. This film is filled with the same awkward pauses that are in some of the Coffee and Cigarettes sketches and though I really enjoyed the film, I never forgot that it was Bill Murray that I was watching. He seemed like the same broken, dishearted character of Lost in Translation. Perhaps not his fault but he seems to be being typecast a little since its success. Changing direction completely, I've been in contact with Jim, who I mentioned in a previous post. He works for a company called goldenfuels which is developing biodiesels, specifically diesel from used cooking oil. It's a nice little website and has a link to an interesting cartoon on climate change. It's pretty polemical though admits towards the end that its opinions are speculative. I think the arguments should be compulsory reading though taken with a scientific open-mind. There's some scary stuff in there but whether or not it's exaggerated, it should be taken on board with due seriousness. So now, hopefully all I have to do is pack this evening and tomorrow and then head out East to see what adventures await. I'm hoping that future posts will be a little more exotic than Hollywood movies and popular books. As I mentioned in a previous post, I've put a sitetracker on this site. Again if people find this intrusive I'm happy to remove it rather than put any people, who are strange enough to read this garbage, off. However, I am intrigued as to who is reading it. I've now put my e-mail address in my profile so people can get in contact. I'm especially interesting in who from the States is reading this though I guess it's probably people from TASI. I'd be interested if you'd like to get in contact via e-mail and tell me what you're up to now. what??!!!! Broken Flowers was rruuuubbish!!!! Saw it at the weekend and it sucked!! 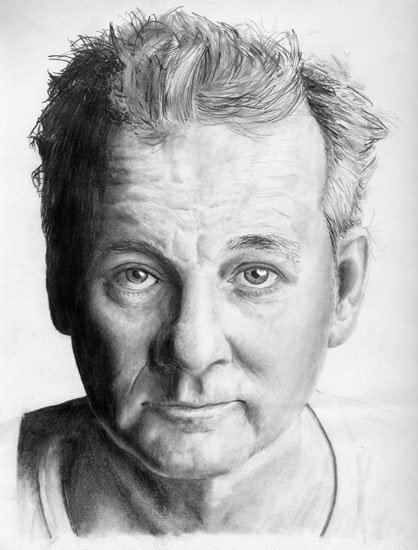 Bill Murray was just Bill Murray as you say, and it may as well have been Lost in Translation (except that was good!) but it just dragged. Long pauses to show the time taken when it REALLY didnt need it, really slow plot, and what a crap end?!! Dont watch it!! Pluck your eyes out with pencils - it'd save you having to watch it, and to be honest, would prob be a whole load less painful than enduring that pile of monotonous garbage!! So there!!! Hmph!! Fair dos. I found it an enjoyable way to pass a couple of hours, but then I like slow, ponderous films. I'd be interested to hear other peoples opinions to see if I'm the only one who is gullible enough to enjoy stuff like this.